Welcome to the Guerilla Media Community take some time here to learn about the various non-profits, ministries and businesses that we support. There are many worthy causes and amazing businesses, here you will find a few of our personal favorites. 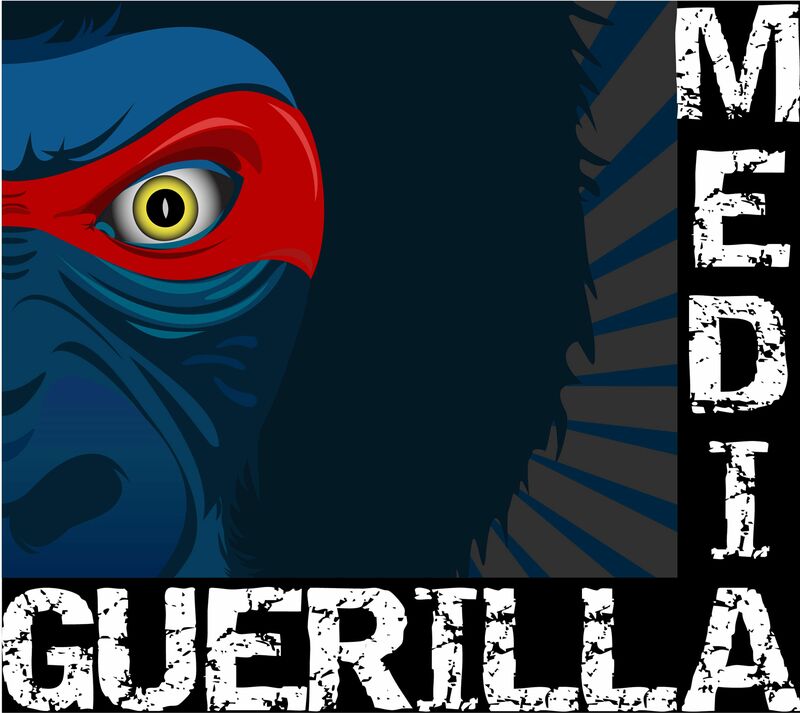 You will also find information about our mighty Guerilla Media network, our trusted associates, partners and clients. We encourage everyone to get involved in their community and ours. We encourage everyone to get involved in their community and ours! The Above Board Chamber of Florida is dedicated to bringing people of faith together in the workplace, the community, and within our personal relationships. The Above Board Chamber is continually creating new ways to help our member businesses learn and grow. Being “Above Board” in all we do will be the vehicle that will take us where we need to go. We think it’s an exciting time to join and invite you to get involved. Our friends John and Kathy Eytchison wrote this wonderful children’s book that brings the book of Genesis to life in a whole new way. In Elkan, the discovery of a mysterious old book takes Elkan on the adventure of a lifetime. During his adventure, history is revealed to Elkan like never before as he experiences it first hand, danger and all. Travel with Elkan as he takes a journey back in time, one that will change his life, and yours, forever. The Heil Luthringer Foundation for Multiple Sclerosis Education became a reality in December 2007 and has influenced individuals internationally as well as in the U.S. Their passion is to provide HOPE by continuing to educate the community. Having developed a support system based on wellness, they’ve changed existing attitudes towards the disease.They have counseled hundreds of people with MS, and lectured to large audiences. Naples Equestrian Challenge (NEC) is a non-profit 501(c)3 organization offering therapeutic riding for Collier County, Florida adults and children with disabilities. The Mission is to improve the lives of children and adults with special needs through therapeutic riding and other equine-related programs. Equine related therapeutic activities offer marvelous benefits … it relaxes muscles, increases joint mobility, strengthens and improves posture, balance and coordination. It also develops self-confidence, concentration and self-discipline. Contact the Naples Equestrian Challenge today to learn more about their programs, to schedule a tour, to volunteer or to donate. Welcome to Rocco’s Tailor Shop, where we offer a full range of tailoring services and alterations, for men, women and children. Whether you need a custom made suit or need a hem line altered, our team of expert tailors and artisans will be happy to execute your wishes. style and look that delights you, enhances your self-image and empowers you. The MTL Communications Group harnesses the power of public relations to elevate clients’ brand power and success. Our expertise in brand development, relations with top-tier media, skilled social media marketing, creative graphic design, red carpet event planning and diligent reputation management services allow us to drive our clients’ businesses to new heights. With meaningful relationships to Fortune 500 and boutique-sized companies alike, MTL Communications Group takes pride in being able to give each client the personalized one-on-one attention that is needed to build a strong and successful partnership. MTL Communications Group’s team of seasoned strategists partner with our clients in the areas of financial institutions, food, beverage, hospitality, philanthropy, beauty, travel and more. E. Sue Huff & Associates, Inc., located in Naples, Florida, provides strategic marketing (http://www.esuehuff.com/marketingconsulting.html) and management consulting (http://www.esuehuff.com/managementconsulting.html) as well as public relations (PR) services to owners and managers of small and mid-size businesses. E. Sue Huff & Associates, Inc. was founded in 1994 and works with a wide range of industries. The company’s goal and mission is to help small to mid-sized businesses reach their full potential by utilizing, building and implementing effective marketing (http://www.esuehuff.com/marketingconsulting.html) , PR and strategic business plans (http://www.esuehuff.com/managementconsulting.html) . Whether your business needs assistance with marketing strategies, marketing plans, management training, public relations, human resources or special management projects – E. Sue Huff & Associates, Inc. can help! E. Sue Huff & Associates, Inc. specializes in helping organizations increase their effectiveness by identifying issues and problems and recommending ways to improve. We work with businesses at the very earliest stages of their endeavors, as well as with established companies, to create, plan and execute their marketing strategies. Our unique selling advantage is our firm’s diverse background which allows us to use our real life experiences as business owners and senior managers to offer clients practical plans and ideas that work. We also have a broad network of strategic business partners we can utilize to solve almost any problem. Our hands-on experiences help us to identify with the day-to-day obstacles that prevent businesses from moving forward – we help you WORK YOUR PLAN! It’s Sunday morning. The music’s pumping, the lights are low and electricity fills the room. A young guy in jeans begins to speak refreshing and passionate words that stir your heart in a new way. It’s church, but not as you’ve always known it to be. It’s Livewire.Lead Pastors Josh & Kristine Perez started Livewire in 2009 with the mission of creatively expressing God’s relevant and unconditional love to the world around them. They invite you to investigate their cause.Real, different, relevant. Livewire. Sony has long been a name to trust with regard to electronics for your home, your car and your business. But did you know Sony also offers a wide variety of equipment and accessories for the medical field? Their superior technology and equipment are now in use in surgical centers ranging from monitors to virtual training systems. Sony continues to be a pioneer in the technology field in many different professions. Guerilla Media was honored to be hired by Sony Electronics Medical Division to assist with their MD2GO product videos. Third Eye Management works with business owners to achieve their dream by helping them bridge the gap and turn their ‘good little business’ into a great business! Third Eye Management is committed to offering the highest quality advice, development and coaching across specialist areas of management, marketing and communications for its clients. For over 25 years, Automated Shading & Lighting Control has provided clients with motorized interior window coverings and lighting control solutions that are intuitive to use and seamlessly installed. Food for Orphans is currently working with orphans in Central African Republic, Liberia, Peru, Venezuela, Dominican Republic, and Myanmar. New counties and projects are being evaluated on a regular basis and with your help, more orphans can be fed. Proper nutrition improves the orphans’ immune system, helps them fight off disease, helps them focus in school, and eases the ache in their belly. Your $15 a month will provide proper nutrition and save the life of an orphan. Mary Maxim is a third generation family owned and operated mail order/internet company, specializing in hand knitting yarns and exclusive kit designs. We have three retail outlet stores located in Port Huron, Michigan, Paris, Ontario and London, Ontario. Visit us online or at any of our retail locations and find a world of creativity waiting for you! RMB Agency, Inc. is a full service advertising agency specializing in radio, TV and print. Through an amazing team, our vast experience in all media venues allows RMB Agency to offer over forty years of advertising experience to our clients. RMB brings a level of expertise in media that is rarely surpassed in the industry. Our focus is to work closely with each of our clients to ascertain their desired goal(s) and then work collectively to determine the most effective media approach to implement. Our clients are important to us. A primary driving force is our recognition of the responsibility we have to our clients to propose a media campaign that best suits their needs. At RMB Agency we offer a level of confidence and caring in everything we do. We only recommend Media that Matters. Soukup Strategic Solutions provides nonprofits with expertise in fundraising and nonprofit management. The company has a specific focus in helping organizations plan for growth. Primary services include strategic planning, board development, grant writing, and the development of fundraising and marketing plans. Soukup Strategic Solutions also supports client teams through the execution of strategic initiatives to achieve their goals. Soukup Strategic Solutions is providing nonprofits with strategies for success.